Urban Video Project (UVP) and Light Work will present Urban Cinematheque 2016 on Friday, Sept. 2, from 7-11 p.m. at the Everson Plaza. It will be the fifth installment of this wildly successful end-of-summer event pairing a free outdoor film with an arts and culture fair. 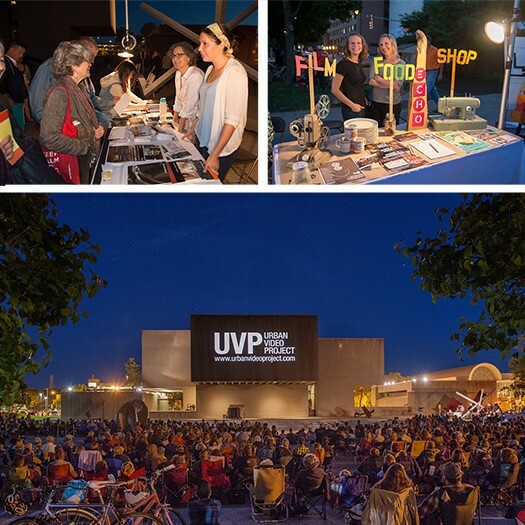 The goal of Urban Cinematheque is to create a social space for the broader Syracuse community and the Syracuse University community to meet and engage with the thriving local arts scene. This year’s film selection will be J.J. Abrams’ critically acclaimed 2016 film “Star Wars: The Force Awakens.” Using its extra-large venue high-definition projector, UVP will project the film onto the façade of the iconic Everson Museum of Art with sound by OnCenter, making for a spectacular film screening in a venue unique to Syracuse. As part of the event, dozens of local arts and culture organizations will have representatives on hand with information about upcoming events, exhibitions and interactive art experiences for the audience to engage with. Confirmed participants include ArtRage Gallery, Connective Corridor, Everson Museum of Art, Light Work, La Casita Cultural Center, Point of Contact Gallery, SALT Makerspace, Salt Quarters, SU Art Galleries, Symphoria, Syracuse Stage, Syracuse City Ballet and Urban Video Project, among others. Additional planned festivities include complimentary lemonade and popcorn and multiple (pay) food truck vendors, including Toss ’n’ Fire Pizza and Recess Coffee & Roastery. The entire event is free and open to the public. Audience members who are able to do so are advised to bring blankets or portable chairs. Limited seating will be available on a first come, first served basis. Street parking, as well as pay parking lots, are ample in the immediate vicinity. For students coming from the Syracuse University campus, charter buses will run every 15 minutes between Schine Student Center (outside the University Place entrance) on the Syracuse University campus and the Everson Plaza from 7-11 p.m.
Urban Cinematheque 2016 is presented in partnership with the Everson Museum of Art and Onondaga County Office of the County Executive and the Connective Corridor. Urban Cinematheque 2016 is made possible through the generous support of CNY Arts with additional support from Syracuse New Times and Visual Technologies.